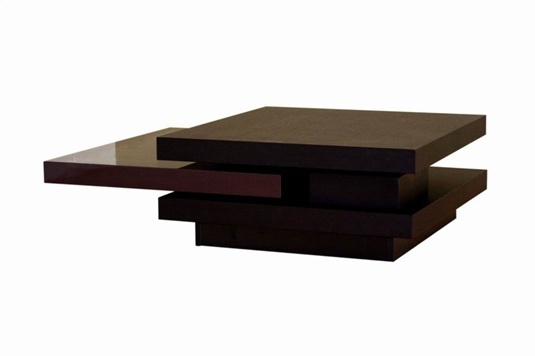 I ran across this swivel coffee table in the showroom the other day. I must have walked past it a million times but that day it caught my eye, I couldn't put my finger on why until I noticed it had changed shape. I didn't realize until I started messing with it that the "layers" of the table move! It can transform from a small coffee table to almost double it's size by swinging out the top layer. The top table swivels freely 360 degrees. The lower table swivels as well, but cannot go 360 degrees due to support for the upper table. The different shape configurations make this table very versatile and useful for a variety of occasions. 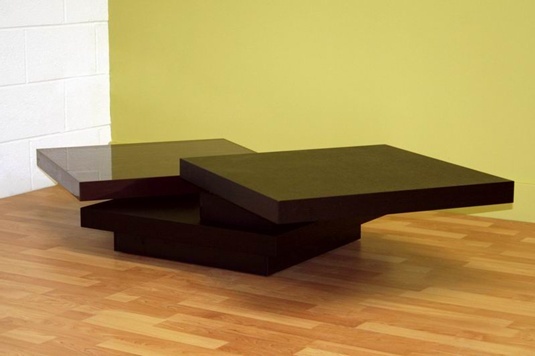 Pick this Modern Coffee Table up for $250!